San Francisco Bay with the Golden Gate Bridge and the New York City skyline are two of the quintessential images of the 'American dream'. 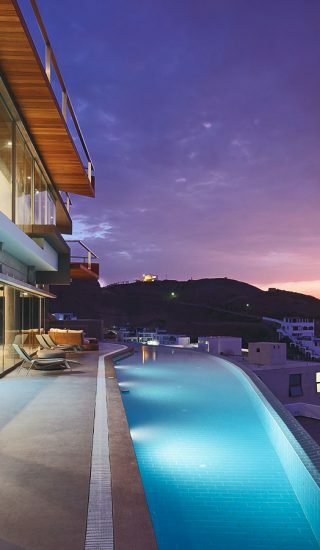 So it should come as no surprise that the owners of a low, one storey home built in 1970s wanted a new contemporary home worthy of their spectacular site, perched above San Francisco Bay. 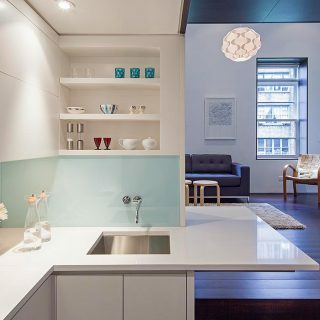 The owners' dream of a new contemporary home was eventually realized in 2010, after local studio Swatt Miers Architects took on the task of renovating the existing 300 square meter (3200 square feet) home and extending it by another 185 square meters (2000 square feet). 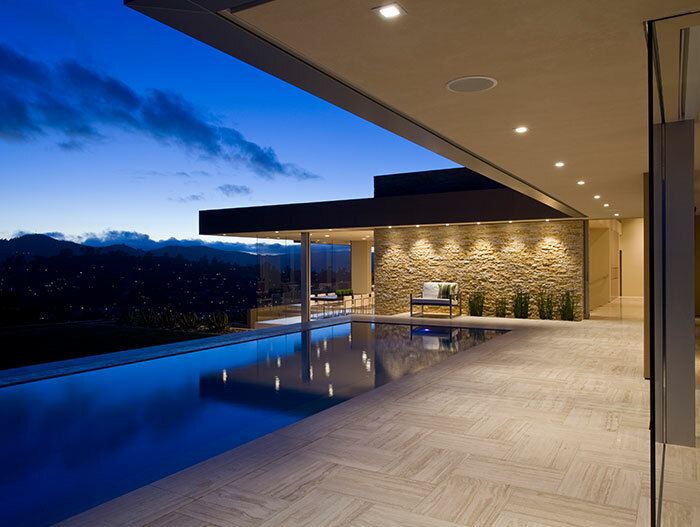 Located on a private hillside lot in Tiburon, California – half an hour's drive from San Francisco – the golden-hued Garay Residence offers a 270-degree view of the city and its surroundings. 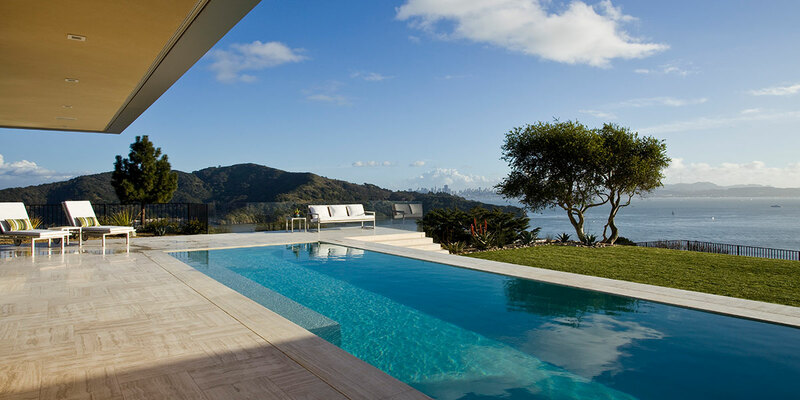 The half-acre site, with south-facing hillside parcel, offers complete privacy and unobstructed views from the East Bay Hills, across Angel Island, San Francisco to Mt. Tamalpais to the west. Responding to the physical conditions of the site, the new contemporary home is almost entirely opaque on the north side where a new entrance motor court is defined, by overlapping retaining walls above a driveway composed of concrete slabs. 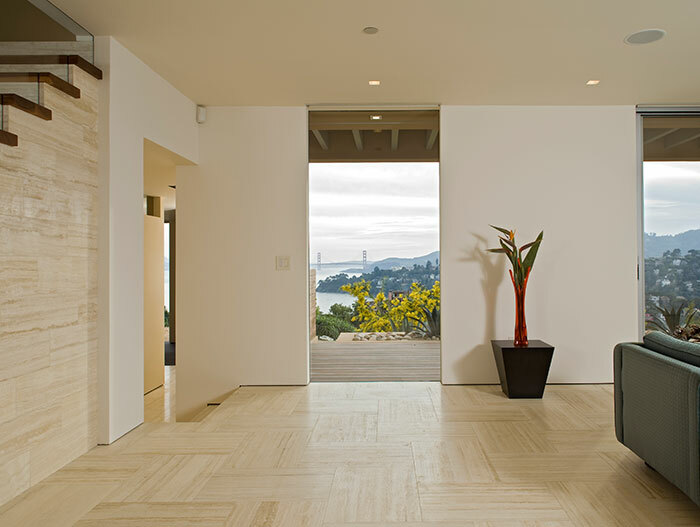 From the entry hallway, visitors are greeted by a stunning view of the Golden Gate Bridge. 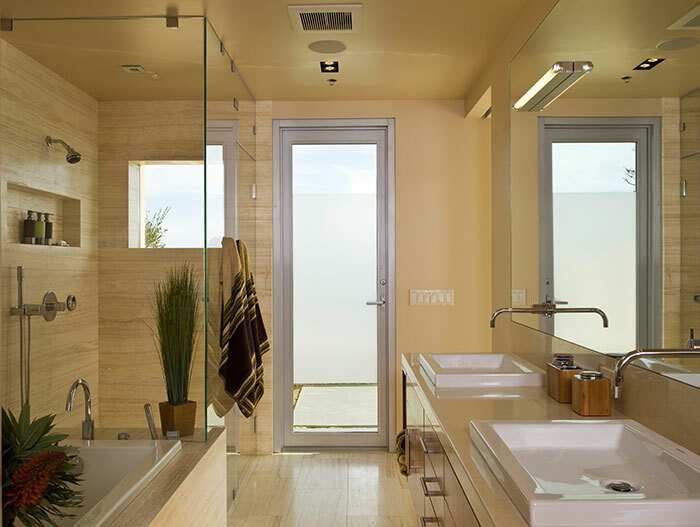 Frameless glazing, doors that retract into walls, dramatic cantilevered roof extensions, and vein cut travertine were used to seamlessly connect the interior to the exterior. 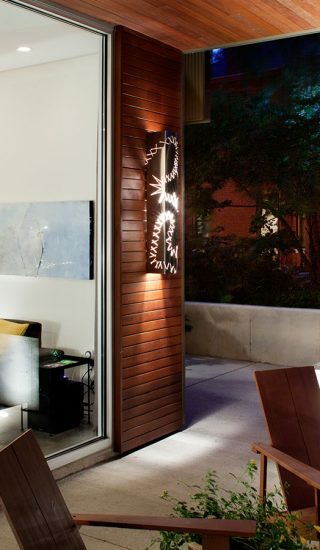 A circulation spine connects the private and public areas of the house with the exterior garden and courtyard. 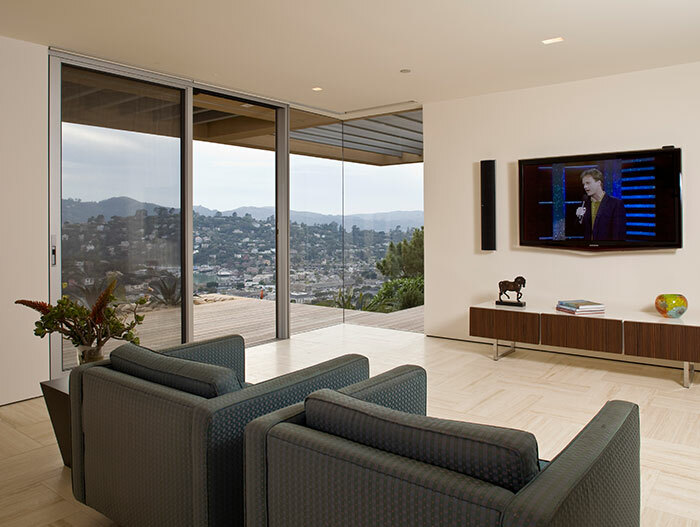 The central zone houses the open plan living, dining and kitchen area, designed for indoor-outdoor entertainment. 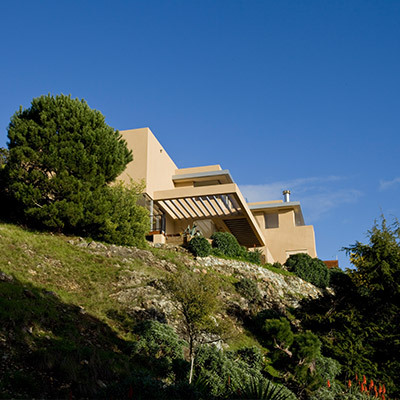 In addition to the open-plan living space, the upper-ground level of Garay Residence has bedrooms and bathrooms for the two children, two guests rooms, an au pair, and a master suite for the owners. 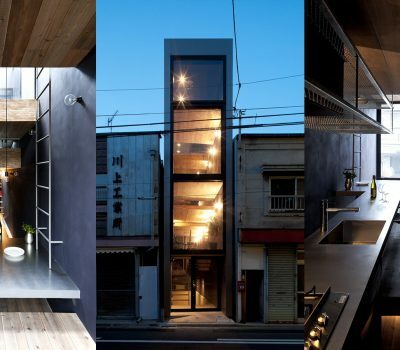 A glass, stone and walnut staircase leads the lower-ground level housing the media room, the gym, an outdoor shower and a private office with its own bath. 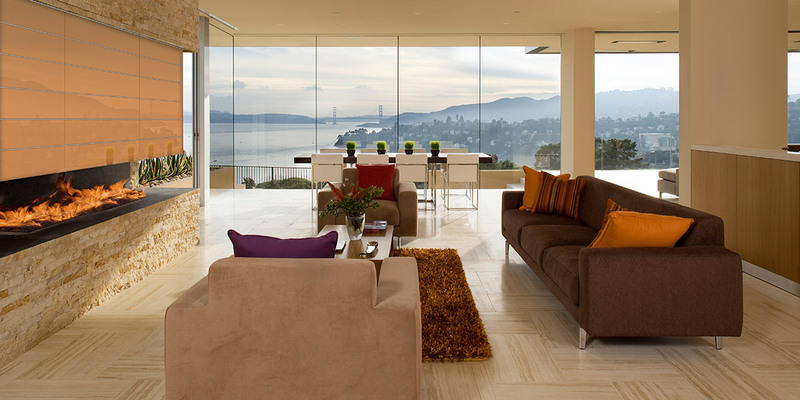 The media room and office have views of the Golden Gate Bridge and are constructed in such a way that the home appears to float off the hillside overlooking San Francisco Bay. Like the interior, the garden was designed as a series of stepped levels. 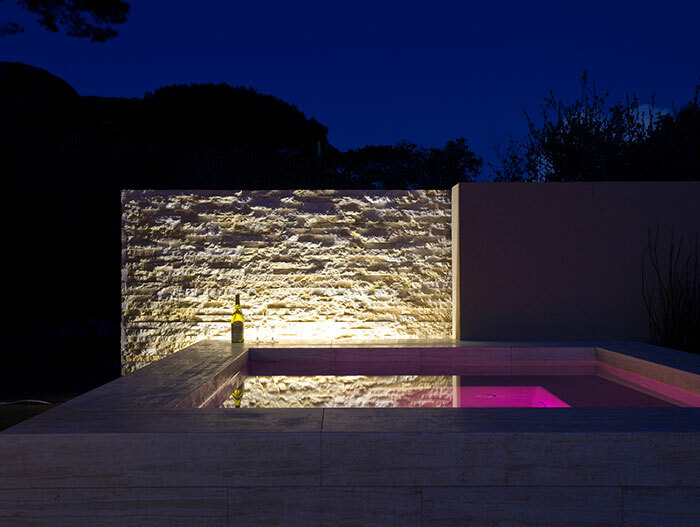 A reflective pool, placed at the top of the garden, sits flush with the travertine decking and a court for playing bocce a few steps below. Low-lying, drought-tolerant plants, including Bougainvillea and Agave, were added to the courtyard and gardens. These slow growing succulents thrive in the dry, rocky terrain, and also maintain views from the house. Open plan living coupled with the use of a limited palette of materials make the Garay Residence feel tranquil and refined on the inside. The ancient surfaces and materials, such as the Jerusalem stone, create a very unique contrast with the contemporary features and design. 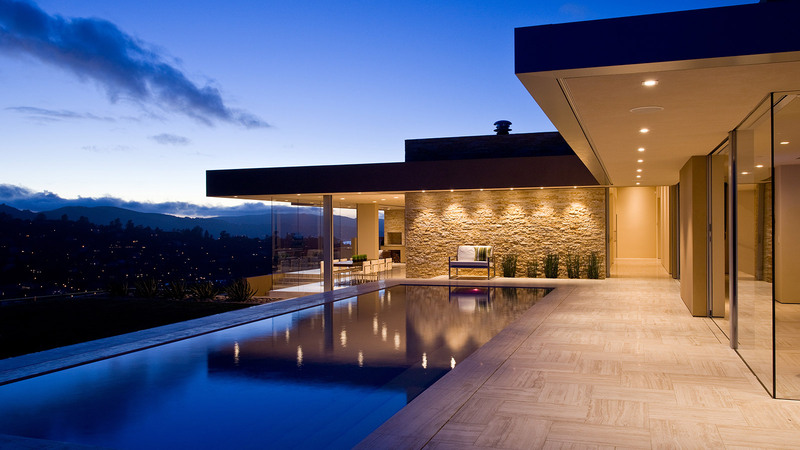 Garay Residence by Swatt Miers Architects really is breathtaking to watch. 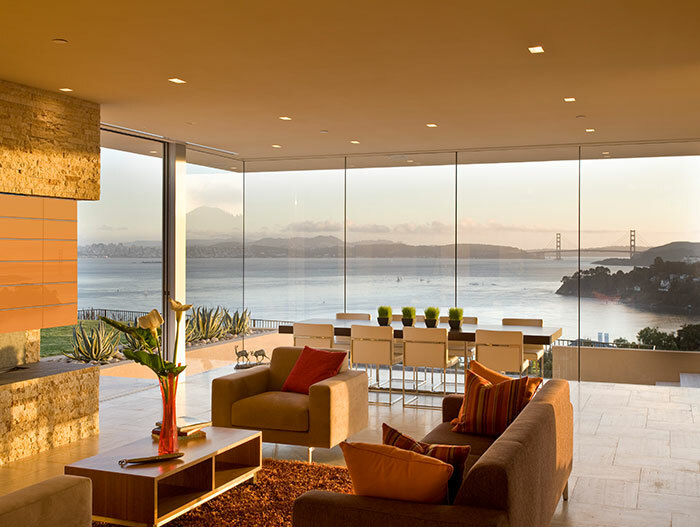 The spectacular and iconic San Francisco Bay views make this stunning contemporary home in Califonia a true dream house.